Days tend to get extremely busy without our notice and I was surprised to note that almost 10 days have gone without an update. I am struggling to keep up with the posts and there are so many drafts that I want to clear off, guess it requires more efforts than what I have. When I actually think back on what’s happening, guess we just caught up the everyday rut of rushing the kids to school, rushing off to work. Wish life could pass on more leisurely so that one gets to remember these incidents. There are days stretching endless with me chatting with Amma or Hubby dear about what the boys or Konda say. Like last week Konda had given me her lunch weekly menu and was insistent that I follow the menu strictly. 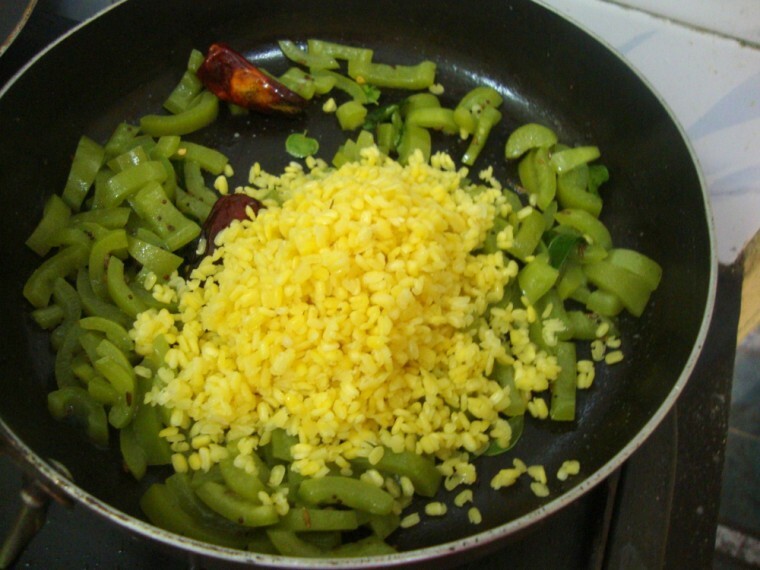 When I saw that I had to make Fried rice, I was able to convince Peddu about it but Chinnu said he doesn’t want it. I said I am not running a restaurant and he has to carry that for his lunch too. He threatened me saying he will not eat. When I came back home in the evening, Peddu rushed in to say he loved the rice and wanted it for next day also, while Chinnu was having a cross face. Looking at me, he said “I didn’t eat, but my teacher fed the rice to me” Imagine saying that was a pause. He was so clear in his likings and that statement was so hilarious when he said in telugu. There have been so many other antics that I now see I haven’t recorded. The way the boys have started talking, with their innocence and the smart way they think for every small thing, makes the days so wonderful. Looking at Konda, I wonder all of sudden where is my baby! She is all the typical pre teen, yes kids these days looks like they become teens by 10! 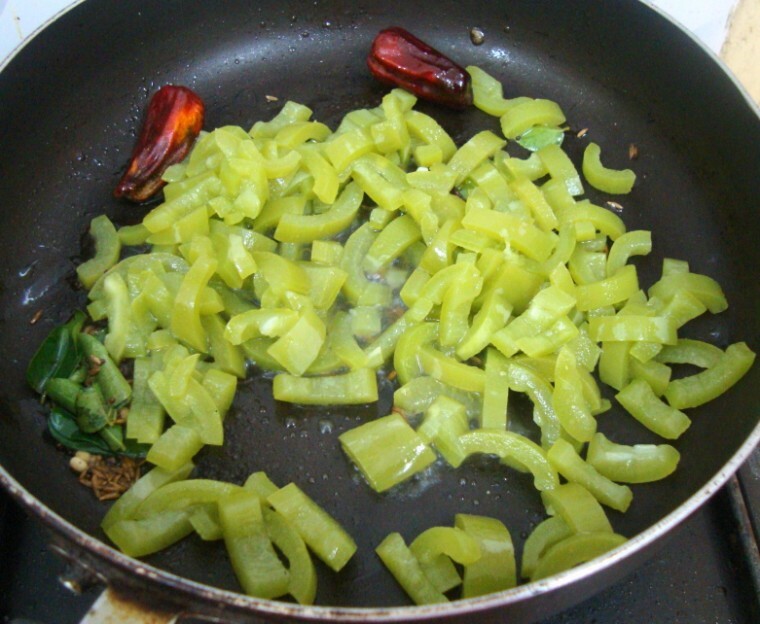 Anyway coming back to the recipe, this is a wonderful protein packed stir fry, very delicious with sambar or dal. If I am not making Podalanga Kootu, it’s this stir fry that’s made. 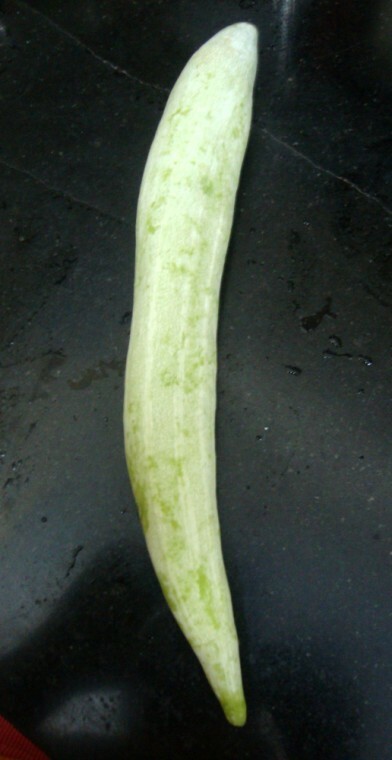 Check out how to clean or prep Snake gourd in Spice your Life. We are running the 10th edition of Blogging Marathon from today and I decided to take up Preps and Preserves. 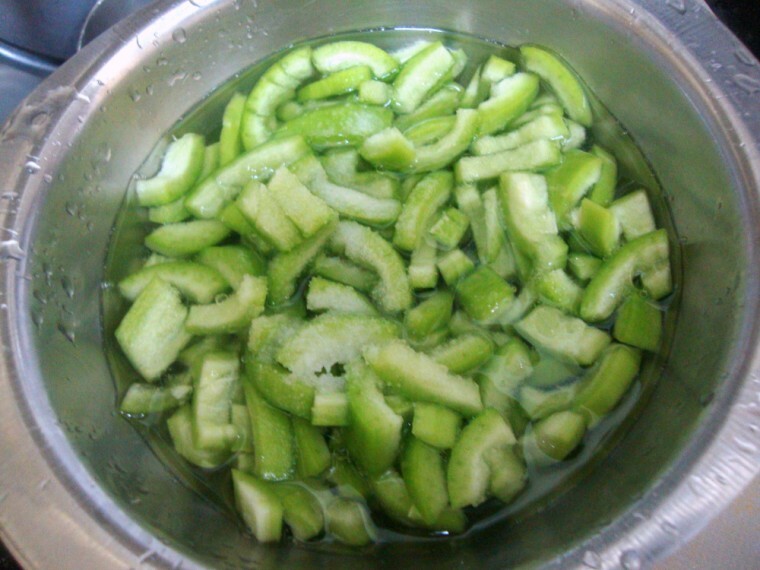 Refer how to clean or prep Snake gourd and follow the process. 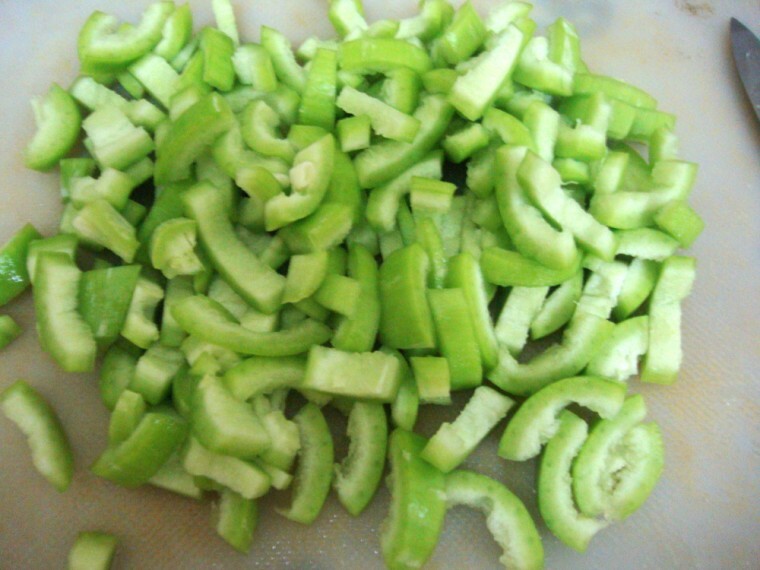 Once you have squeezed out the vegetable from salted water, add 1/2 water and microwave for 10 mins. 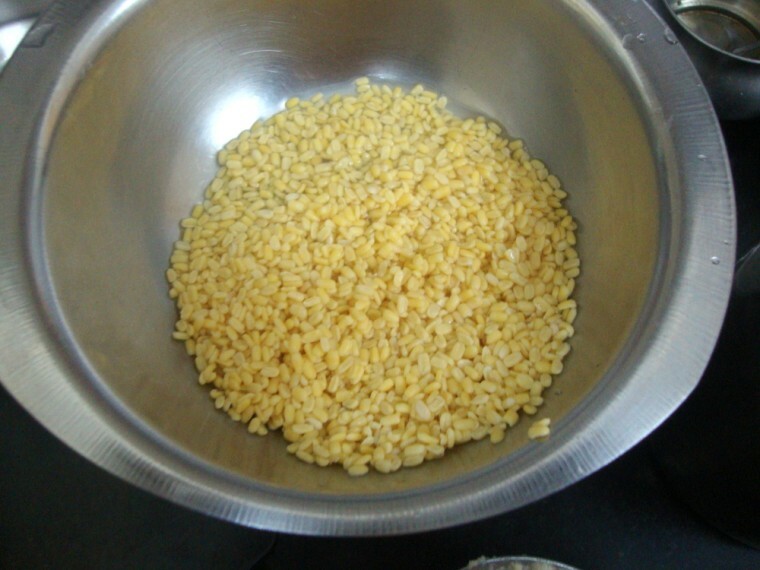 In another mw bowl, wash and micro moong dal for 10 – 15 mins. Once done, drain the vegetable and keep it aside. 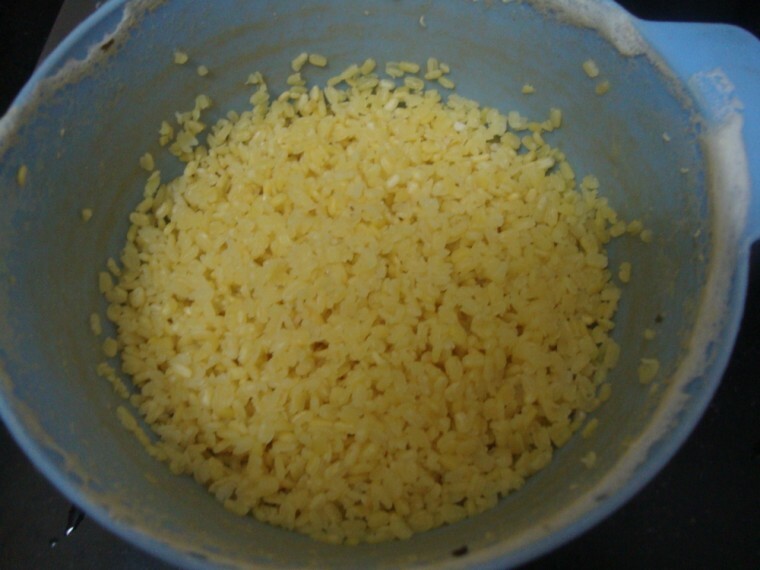 Heat a non stick pan with oil, add the seasoning ingredients. 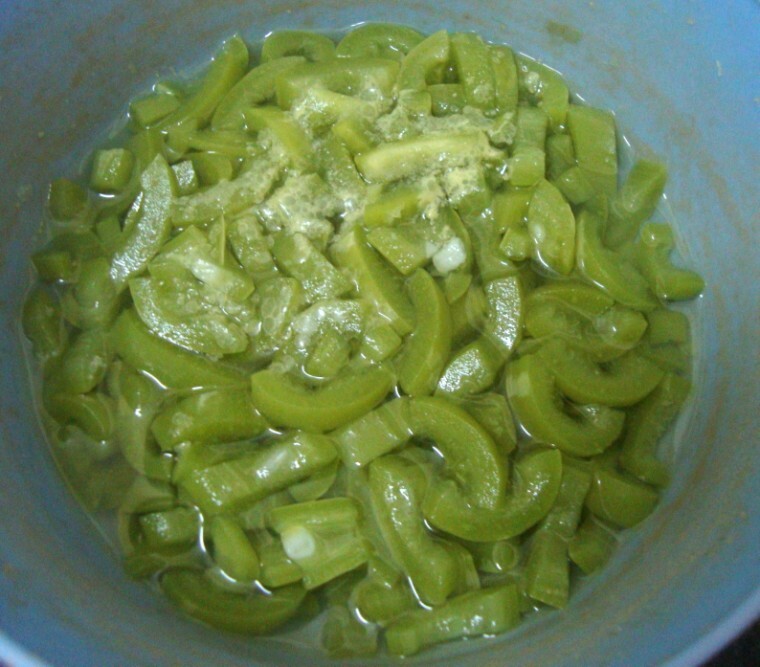 When the mustard pops, add the cooked snakegourd. Saute well. This takes about 5 mins. 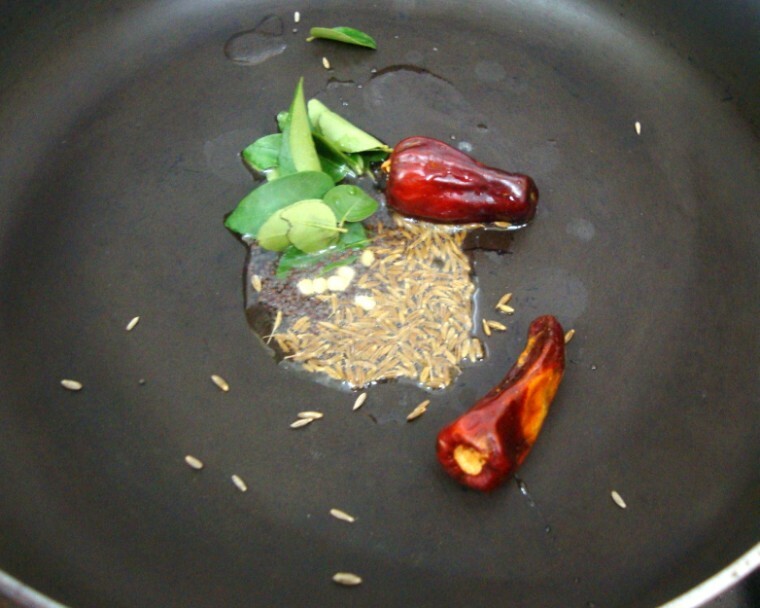 Then add the cooked dal and mix well, add salt and chili flakes. 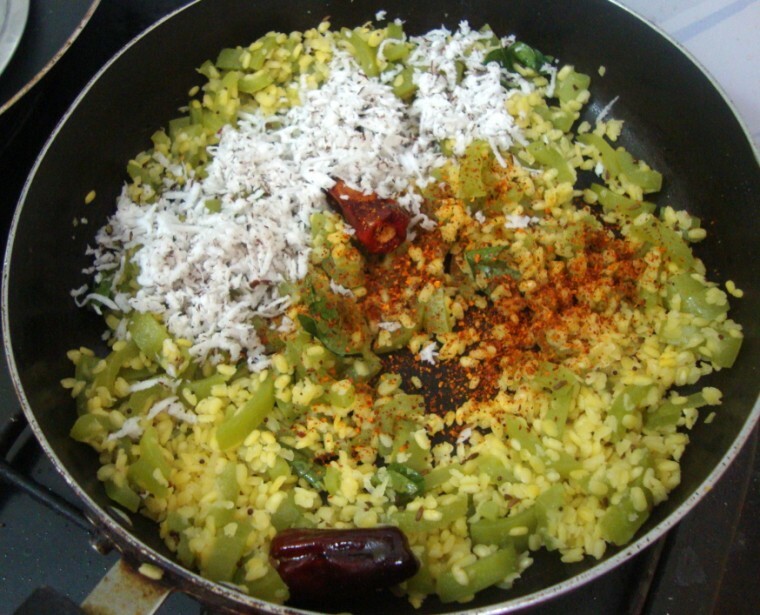 Simmer for 5 mins, then add the grated coconut finally and switch off. 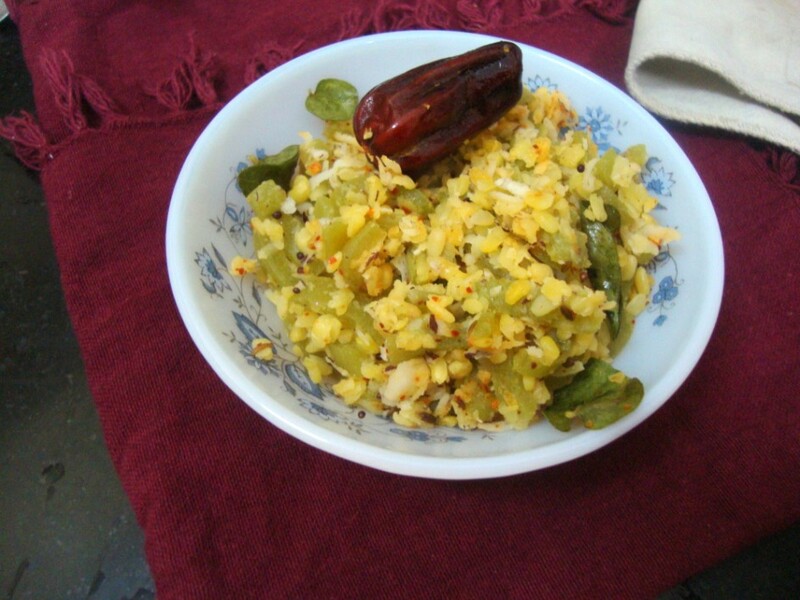 Serve with Rice and Sambar as the side. Love this delicious stir fry. 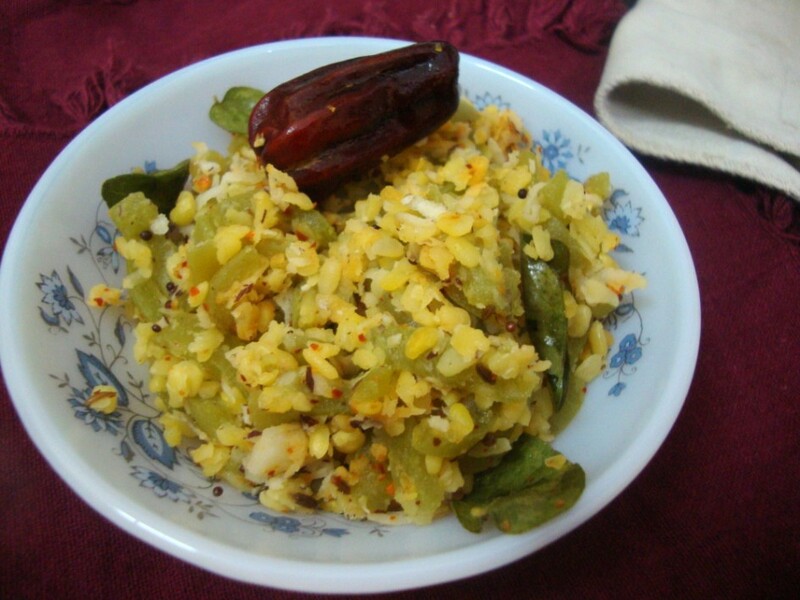 Perfect with fresh roti's ………. Srivalli, please share your recent weekly menu. It will be very inspiring for me. I am trying to get on menu planning but finding it difficult to plan.